Eli Zaretsky, Professor of History at Lang College an eminent specialist, among others, of the history of psychoanalysis, has written a new book on Sigmund Freud. 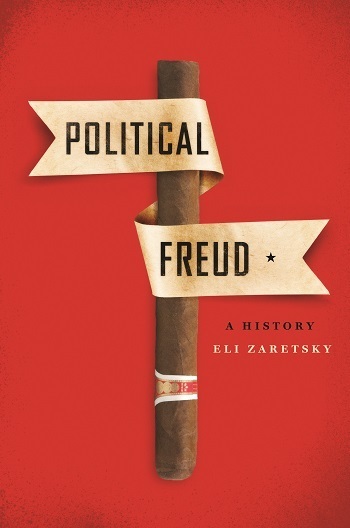 Eli Zaretsky reveals the power of Freudian thought to illuminate the great political conflicts of the twentieth century. Developing an original concept of “Political Freudianism” he shows how twentieth century radicals, activists and intellectuals used psychoanalytic ideas to probe consumer capitalism, racial violence, anti-Semitism, and patriarchy. He also shows the continuing influence and critical potential of those ideas in the transformed landscape of the present. Zaretsky’s conception of Political Freudianism unites the two overarching themes of the last century—totalitarianism and consumerism—in a single framework. He shows that theories of mass psychology and the unconscious were central to the study of fascism and the Holocaust, to African American radical thought, particularly the struggle to overcome the legacy of slavery, to the rebellions of the 1960s and to the feminism and gay liberation movements of the 1970s. Nor did the influence of Political Freud end when the era of Freud-bashing began. Rather, Zaretsky shows that political Freudianism is alive today in cultural studies, the study of memory, theories of trauma, post-colonial thought, film, media and computer studies, evolutionary theory and even economics.